Quiet & central position, spacious rooms, wellness area as well as excellent cuisine. Welcome to Hotel Sonnenhof*** in Kastelruth! 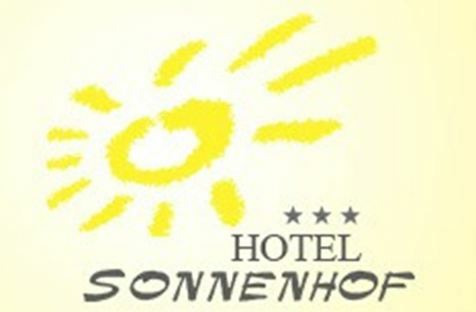 Hotel Sonnenhof is a completely renovated, family-run guesthouse in Kastelruth in the holiday region Seiser Alm. It is situated in a sunny and peaceful position, but at the same time only five minutes on foot from the town center. In the environs and in the mountain scenery of the Dolomites there are waiting also countless leisure time activities – in summer as well as in winter. Spacious and tastefully furnished guestrooms with shower or bathroom and toilet, hairdryer, safe, satellite TV, internet and balcony guarantee a comfortable stay. All premises are characterized by a very pleasant ambience, because they are furnished with a lot of wood and warm colors. 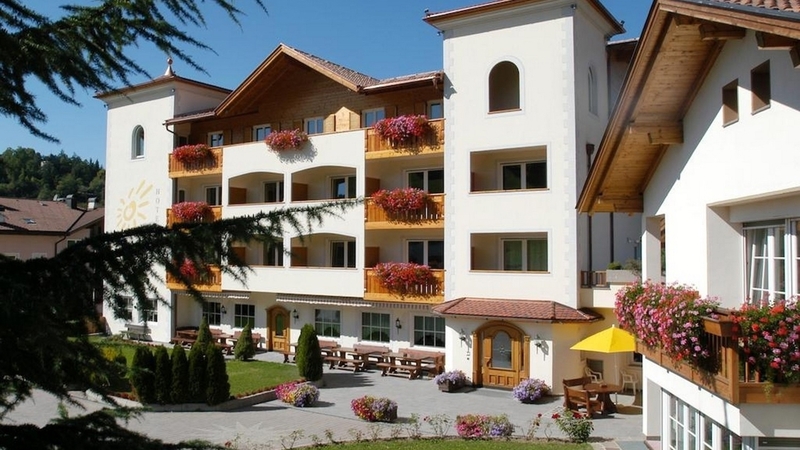 Last but not least we have to emphasize also the varied cuisine of Hotel Sonnenhof, which spoils you with a rich breakfast buffet and local specialties, combined with Italian delicacies. A new spa area with sauna, infrared cabin, salt baths and rest rooms complete the offer. Vegetarian food , Home made products, Sunshade, Deckchair, Ski depot in the house, Ski depot outside the house, above 1000 m a.s.l.